The previous NSX had a type-R badge at a few points in its life and bringing it back would endow the new NSX with even more, ahem, street cred than it already has. Not on the type-R sense, but nearly every manufacturer has a more taught model of either their halo car or of a supercar within their lineup. For example, McLaren made the 650S and then dropped the 675LT on us for a more track focused product. This new NSX guns for cars in the R8 range and the R8 has a v10 plus model. Sure would like to compete with that wouldn’t you Acura? Curiosity kills the cat, as they say. Acura spent 10 years making, remaking, and perfecting this car. Now that it’s finally been unleashed on the world, why would they be just satisfied with what they did? All that time, all that fuss to just say that’s good enough? I highly doubt it. I bet there is someone somewhere in the Honda/Acura headquarters still tinkering away on a computer trying to model if they made these slight changes that the NSX would be that much better. 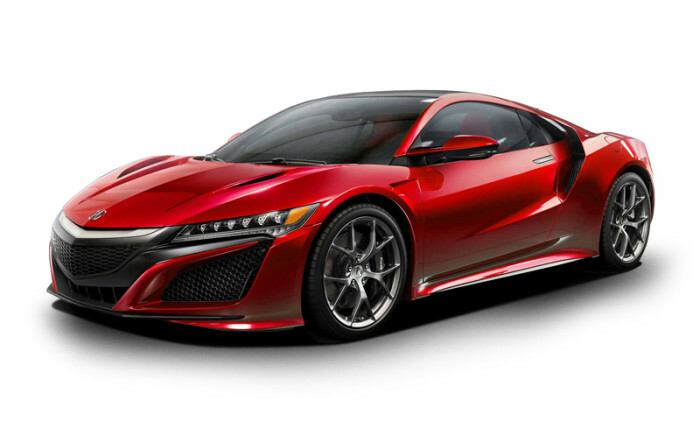 Acura NSX owners or potential buyers will want to buy the type-R version possibly more than the regular version. This might lead to more interest in the car itself, which would lead to more sales of both types. It’s simple car economics. For as long as Acura sat on their hands with this one and dragged the process along forever (engine problems aside), they produced a fantastic supercar. They did it because not only would it be a great car, but because they wanted to have people lust after it. Mainly, they did it for the love of cars and for the love of their customers. And damn it, want want a type-R. Now MAKE ONE. Next article Corvette Takes On The Nurburgring. It Doesn’t End Well. Corvette Takes On The Nurburgring. It Doesn’t End Well.